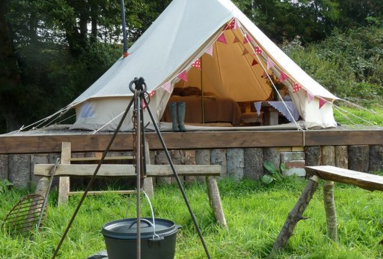 Oh Guys, my friends over at TravelBird are offering this lovely glamping break for 2 nights in a wonderful Bell Tent for just £99 for up to four people! The deals here are being snapped up super fast but I can still see a couple which slide into the summer hols, towards the end of August and October half term. 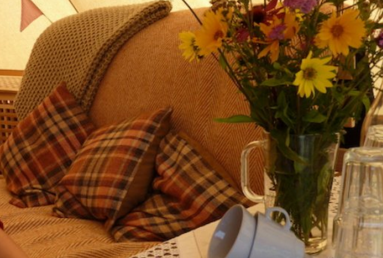 Get back to nature with a blissful glamping break in the Welsh countryside. 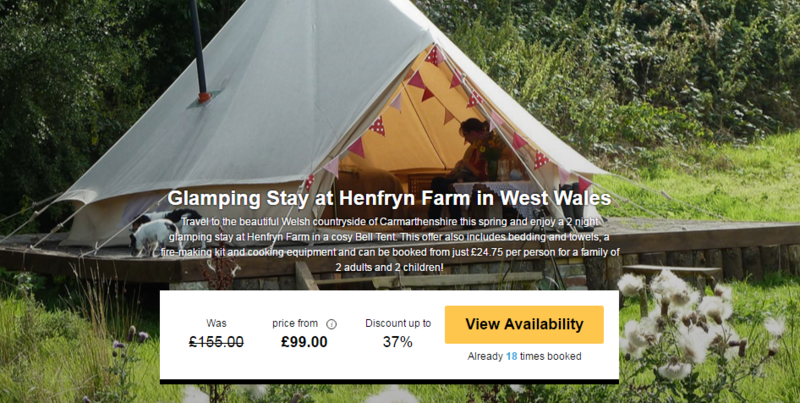 You and your family can look forward a few days of tranquility, staying in your very own bell tent on an organic farm. Awake each morning to stunning views and even collect some fresh eggs for your breakfast from the farm’s chickens. Spend your days exploring the great outdoors and you evenings snuggling up around the campfire — what more do you need for an idyllic family break?